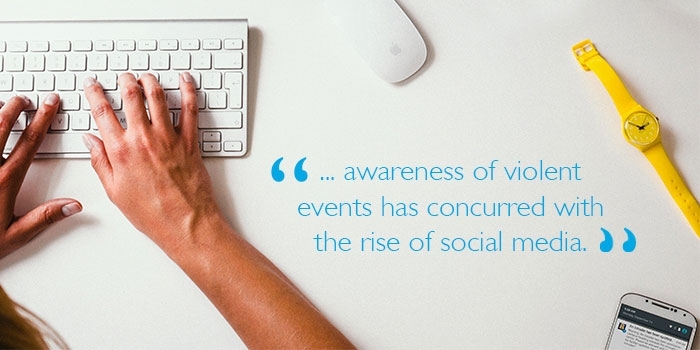 According to the Daily Dot, our awareness of violent events has concurred with the rise of social media. As these channels become more ubiquitous, everyone is empowered to become a source for information. While this can help spread the word at the onset of an emergency, it can also hinder the response to an ongoing incident by adding confusing and incorrect information into the conversation. Such was the case during an active shooter incident at UCLA in May of 2016. The Washington Post reported about misinformation spread through social media and traditional news outlets. Students were alerted through the school’s official notification system, but access to their phones meant they were able to look for additional information on other channels such as Facebook, Twitter and local news websites. This led to rumors about the number of shooters and their locations on campus that increased the fear and anxiety caused by the situation. This isn’t the first time social media has caused an issue when responding to active shooter incidents either. During the San Bernardino shooting in December of 2015, the Press Enterprise reported similar challenges faced by law enforcement. While some information was useful in providing updates about areas that should be avoided, again rumors sprung up that added to the confusion. Despite more information being available, it’s increasingly more difficult to fact check that information’s accuracy during an emergency. Similar issues occurred years earlier during the 2012 theater shooting in Colorado. People took to social media and law enforcement were forced to dig through distracting misinformation and hoaxes, and men with names similar to that of the shooter found themselves harassed by people who did not have the proper information about the event. Establishing reliable channels for communication is a critical component of an emergency response plan. This can help keep personnel informed and updated regularly, but also serves as a source for the media who can recognize it as an official channel to receive information. This can combat misinformation and aid officials in providing an efficient response to a given situation. It's also important that the messages stay consistent across channels. The information shared via social media, should be the same information included in email and text messages that update people impacted by the event. To learn more about how to avoid social media mistakes to communicate clearly during emergencies, download our white paper.